There’s often nothing more stressful than trying to find a medical professional to add to your child’s care team. Trusting someone new is stressful enough, let alone choosing that person. I wish there was formula I could tell you to pinpoint the perfect therapist in your area. In lieu of that magic, let’s talk about how to find an occupational therapist that’s a good fit for your child. In this post, you’ll learn some of the most important factors to consider when choosing an occupational therapist and how to make sure your child’s needs are going to be met. Not always. Every Occupational Therapist has at least a master’s degree in the subject. They’ve also passed the National Board Exam and been licensed in their state. In short, becoming an OT is no easy feat, which means that even newbies can be great at the profession right out of the gate. This is generalizing to an insane degree, but here are some pros and cons of both new and experienced OTs. –they have a lot of energy and are excited to be entering the profession. –they aren’t jaded yet and phoning it in until retirement. –they just left grad school and are equipped with the latest techniques. –they’re often excited to develop new strategies. 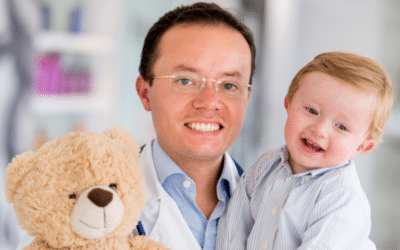 –your child may be the first child they’re treating with their diagnoses. –they haven’t determined their strengths and weaknesses as a therapist yet. –you may need to be patient as they determine what’s right for your child. This is true for any therapist, but it may take longer to pinpoint your child’s needs with a new therapist. –they have a toolbox full of techniques and strategies to pull out at a moment’s notice. –they’ve seen and treated a lot of diagnoses and can more quickly pinpoint potential challenge areas. –they often have greater confidence in the techniques they use. –some could end up jaded. –they left school a while ago and may not be invested in continued learning of new techniques. After all of that, experience isn’t the top priority, which we’ll talk about next. 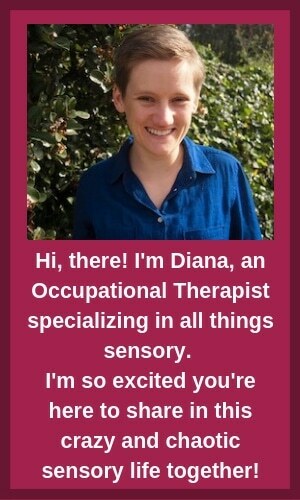 You may find the most incredible Occupational Therapist in the world. They are the leading expert in your child’s diagnosis, have the most amazing therapy space, and are incredibly creative with their treatments. You assume that everything is going to be perfect. Overtime, you realize that your child isn’t really progressing. The results are fine and your child does all of the treatments, but they don’t seem very happy. Now, the degree to which your child likes their occupational therapist isn’t everything. We all do things in life that we don’t like because we know they’re good for us. That’s a part of life. That said, it’s much easier to grin and bear things as adults than as kids. As kids, temper tantrums often end up winning the day. For this reason, you’ll notice that pediatric occupational therapy often looks a lot like play. This isn’t an accident. It’s much easier to work on hand-eye coordination when it looks like a game of baseball instead of a series of boring exercises that your child needs to repeat over and over again. Your child’s occupational therapist wants sessions to be fun, as this is the best way to keep your child engaged and doing treatments. This makes it important for your child to like their occupational therapist. Unlike their doctor who they need to tolerate giving them needle sticks a few times a year, their occupational therapist is someone they have to work with as often as a few times a week. Given that treatment is so play-based, it’s important that your child and their therapist have a good connection and that they are actually excited for their sessions. –is my child excited for their occupational therapy sessions? –are the treatment choices related to your child’s interests? There’s no doubt that results matter. I mean, you wouldn’t need an occupational therapist otherwise. It’s impossible to know the exact results your child will get from occupational therapy and how long it will take to realize them. Many kids spend a number of years with their occupational therapists and progress through a number of goals during their time together. So, while it’s not as though you’ll see a straight line to a finish line, it’s important that your child is always progressing towards a goal. At any given time, your child’s occupational therapist should be able to tell you the goal that they’re working on and what success with that goal would look like. If you’ve been working with an occupational therapist for a while, but you’re failing to see much improvement, it may be time to have a conversation about the larger purpose of the treatment sessions and what forward progress should look like. There’s a lot of trial and error that goes into occupational therapy. Your child’s therapist may simply need to try a new strategy. If you’re feeling like it’s not a good fit though, that’s ok. There’s no shame in searching for a new therapist if you believe your child could have a better connection with someone else. I know, this seems obvious. It’s much easier to drive down the street to appointments than for an hour in traffic. The problem is that location often flies out the window once a living, breathing therapist steps into the picture. One moment, you’re set to see the occupational therapist down the street, but you hear rave reviews about the therapist who’s an hour away. You figure you might as well give it a try—what could be the harm in that? But then, your child absolutely falls in love with this therapist and there’s no going back. Now, you’re finding yourself with a 2+ hour commute, 3 days a week for therapy appointments. There’s no doubt that a good therapist is worth traveling for. If you have the time and the resources, go for it! Consistency is important though. More often than not, long-distance commuters start off energized and attend every single appointment. Soon though, that enthusiasm starts to wear off and the 3 days a week schedule suddenly drops to 2. After a while, we’re lucky to squeeze even 1 session a week. Having your child attend their OT sessions on a regular basis is really important. Not only does it open more doors for success, it instills important lessons about commitments and helps your child’s therapist to refine their treatment sessions. Think very carefully about the implications of choosing a therapist that’s far away. Is this actually doable? Not in an ideal world, but in the world you and your child actually live in? If not, it’s better to pick a therapist close to home. There’s no perfect science to choosing an occupational therapist. In the end, you may need to give a few a try before landing on the one that your child connects with. To get you started on your search, here are some websites with databases of occupational therapists for you to peruse. Yelp, while not comprehensive, can also be helpful. So, How Do I Go About Finding the Perfect Therapist? If you have a good relationship with your pediatrician, start by asking them for trusted referrals and information about available services in your network. It’s also important to be in contact with your child’s school. While you may decide you want services beyond the school system, all schools are required to provide services to children that need them, and OT is often included. Otherwise, do some digging on your own. Pediatric OT clinics are fairly common and can be found with a quick Google search. 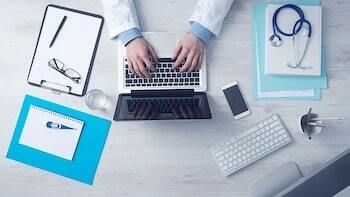 Be sure to read reviews and scour the websites of any clinics you’re considering. Once you’ve narrowed down your options, give the clinics a call and see if you can stop by for a visit. Getting a feel for the environment and staff dynamic of each clinic will go far in helping you get a sense of the place that’s the best fit for you and your child. Nothing beats a personal referral though. If you know anyone who may be using OT services, reach out to get some personalized recommendations. Want to read more about Occupational Therapy and why it matters? Read my post about what Occupational Therapy is and why it matters. Also, if you’re on the fence about OT or PT, or don’t even know what each offers, check out my post about occupational therapy vs physical therapy so that you can choose the best services for your child. Occupational Therapy vs Physical Therapy: What Does my Kid Need?